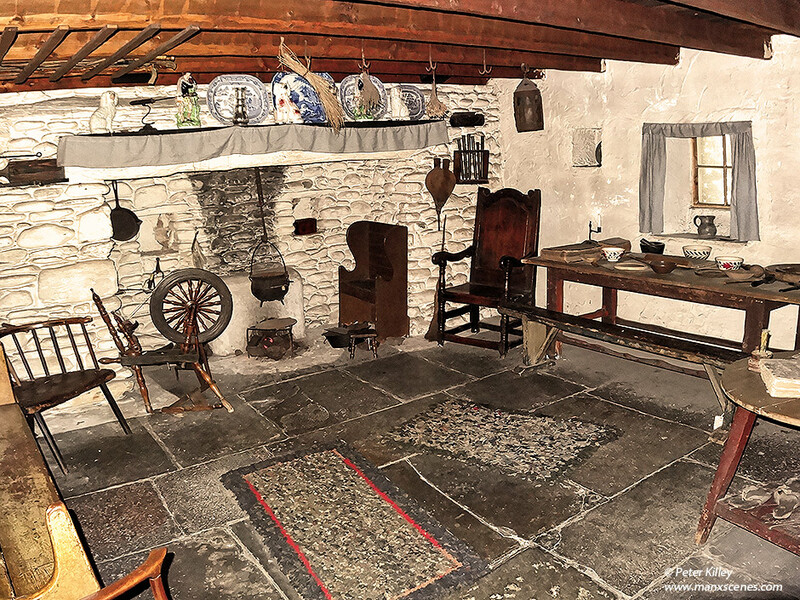 In such houses generations of Manx people lived their traditional way of life around the turf fire burning around the ample kitchen hearth or ‘chiolllagh’. Like your photos , but my front room does look as good as this one now , never mind ” times were hard “. I will swop you IOM for sad old West Yorks anytime ! When we visited, there was someone baking scones on the griddle over the fire. We were given a hot scone dripping with butter – it was delicious.